Since I open an almost obscene amount of tabs every day in my Firefox (and never end up closing them), I’m going to start running this section to force me to close them. This new bit on my blog is like a bandage, alcohol swab, and a coagulant to stop me from bleeding excess pages into my system. 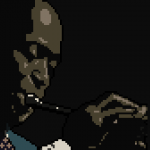 “Kind Of Bloop” is an interesting project about making jazz from the 8-bit digital form that made the sounds from Nintendo’s early games so… well… existent. If the art doesn’t grab you, you don’t know your music or your video games. And if that’s the case, well… go play some Mario while listening to Miles. 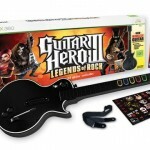 This week, my Guitar Hero 3 controller decided to not strum down. How nice for it! How freakin’ nice of it to not function the way it’s supposed to!!! You know what? I blame Activision. Mind you, blaming them doesn’t get me anything. My Les Paul video game axe is still broken. Regardless, here’s a site that tells you how to fix it. Plus Kevin Smith explains how he didn’t get to do the Superman movie, a building decided to not be found, this Australian winery rocks, why I might start drinking a ridiculous amount of white tea even if it ends up tasting like nothing, how you can read the New York Times on your computer, and that Four Corners story everyone was talking about this week. I started writing this on Thursday night on the way to the Nigel Kennedy gig at Kell's Kitchen. I didn't know what to expect other than that it was Nigel Kennedy and jazz… that's all I really needed to know. I knew he was playing with some of Sydney's top musicians and having seen him play with Jonathan Zwartz before, I knew this was going to be brilliant. I just didn't know how brilliant. So here's my writing from Thursday to Friday and even a little bit from Sunday. And all of these images are shot by me and therefore copyrighted to me, but if you want to use them, don't hesitate to give me a holler by leaving me a comment and I can provide bigger ones. Like if you want to print some and such. The blog entry is almost finished. The pictures are all done. All I need to do now is put it all together. I'm falling asleep with loads of photos to go through and 80% of a blog on tonight written. I'm tired and am heading to bed. Pictures and blog of Nigel Kennedy should be on late Friday / early saturyuday. Too tired to check spelling.